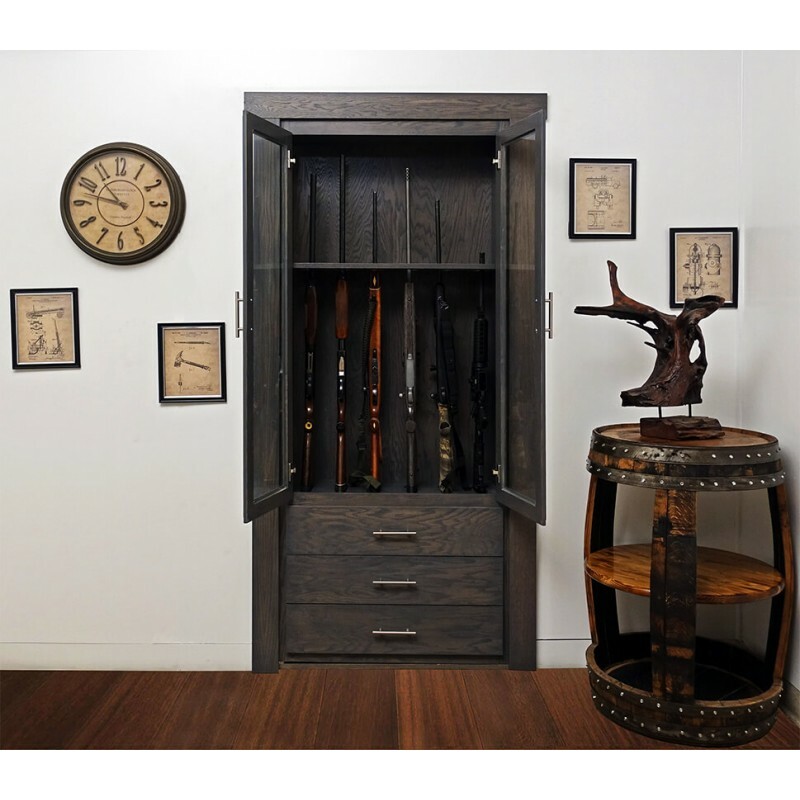 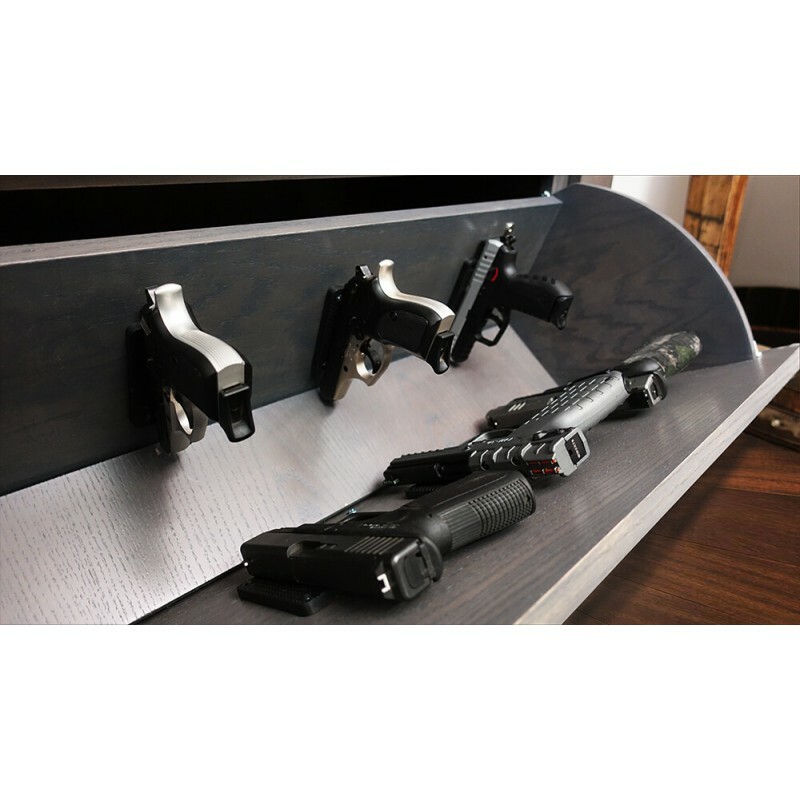 Store your guns with style using the new Gun Door storage solution by Murphy Door. This door includes a pull-out drawer with removeable tray for storing your ammunition and accessories. 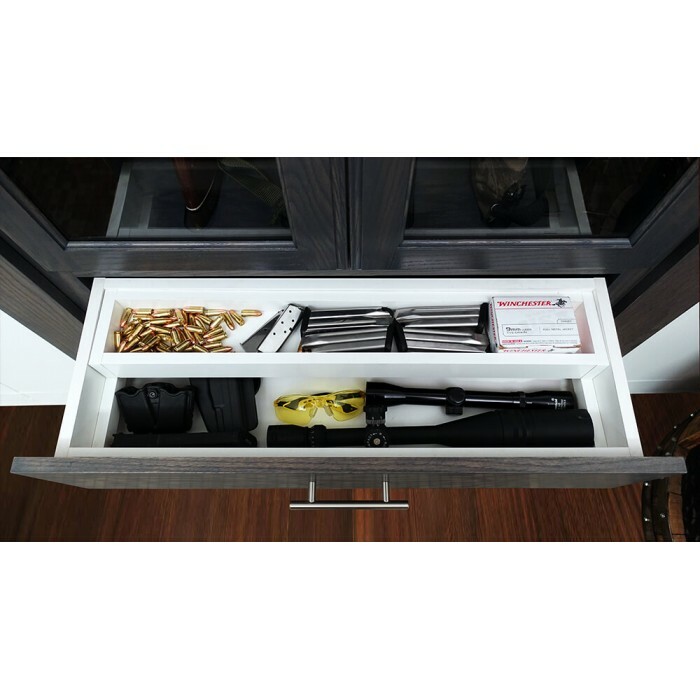 A fold down drawer with 6 magnetic pistol mounts and the top section has slots to store between 4 - 6 rifles. Key locks are included for each section. 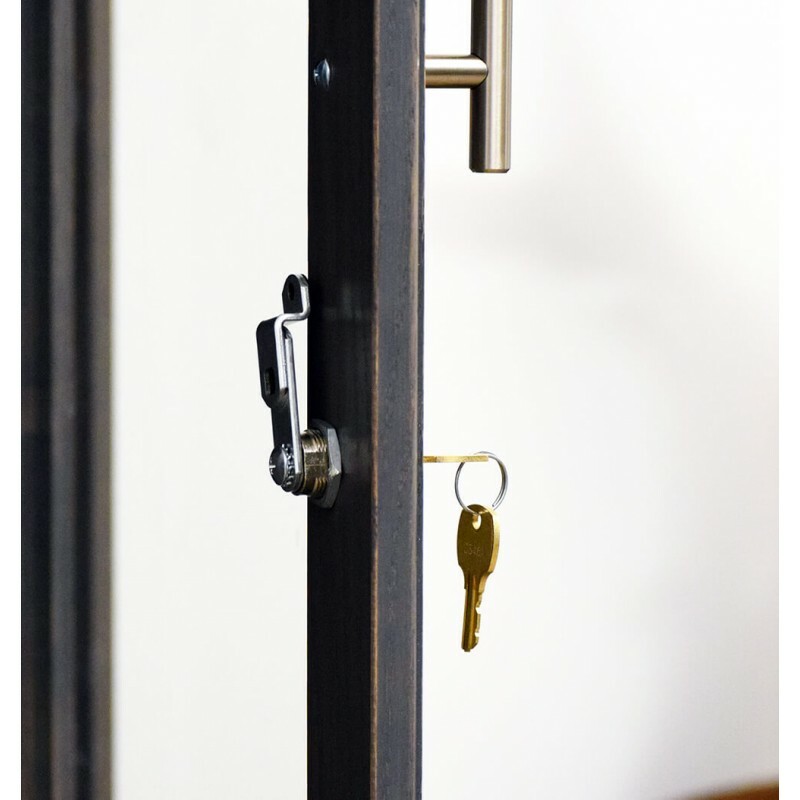 Instruction Manuals and videos available online under the 'How-To & Support' menu link. Rated at the highest level for client satisfaction by the Houzz community! 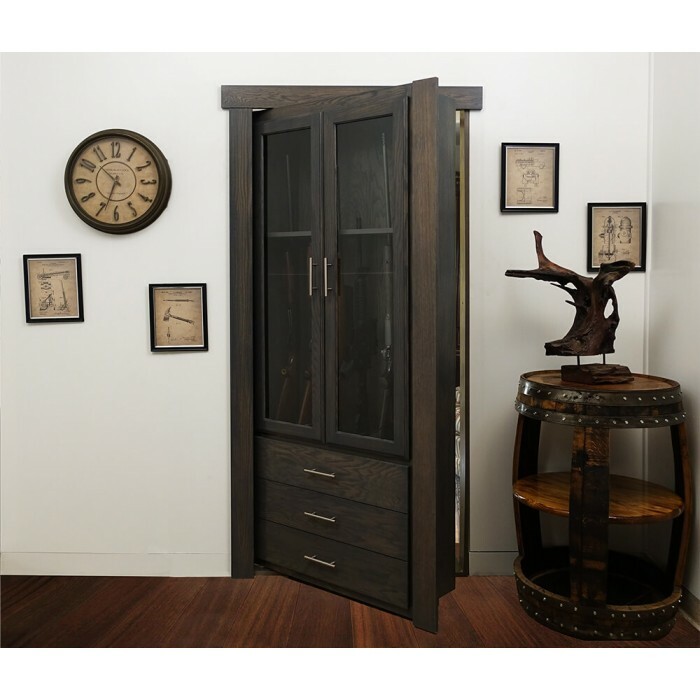 View our Houzz profile HERE! 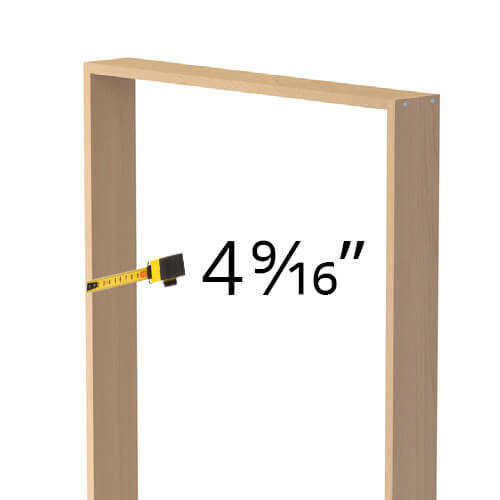 Total overall Depth 12 1/8"
Total inside shelf depth "
Doors that are 24" or less leave a minimal pass through, The narrowest door available on 12" deep doors is 30" No EXCEPTIONS. 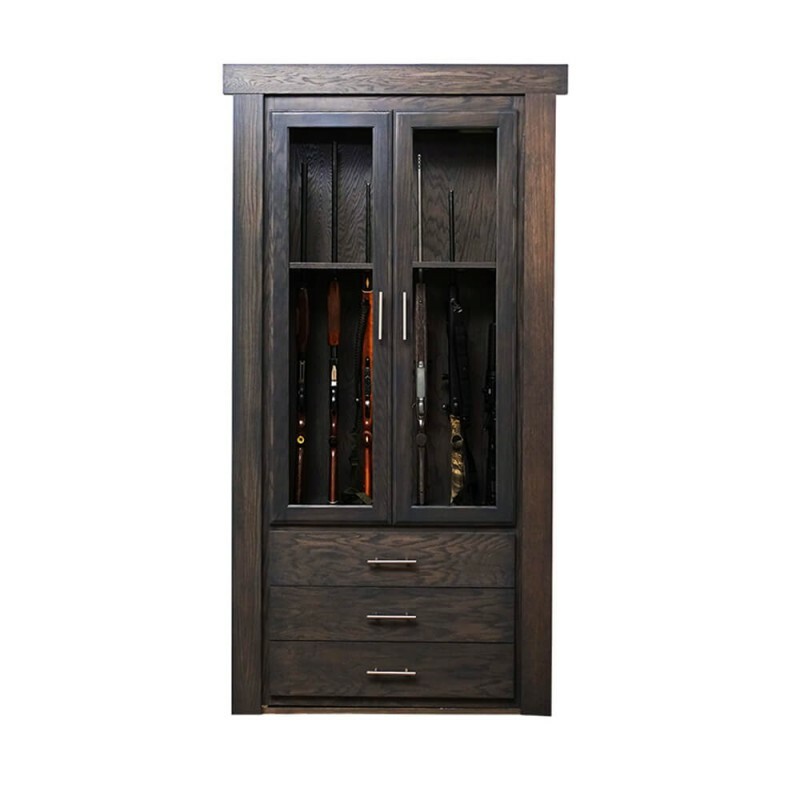 Hardware: We use Murphy Doors Patented Flush Mount Hardware to make this unique and solid piece of furniture function. Our hardware is rated at 1160 LBS dynamic load and 540 Static. 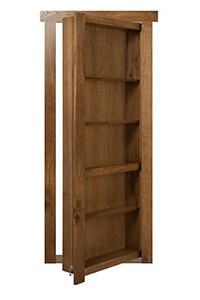 Bookcase door weight capacity: Our doors are built to last a lifetime We have engineered our bookcases to handle 300 lb. 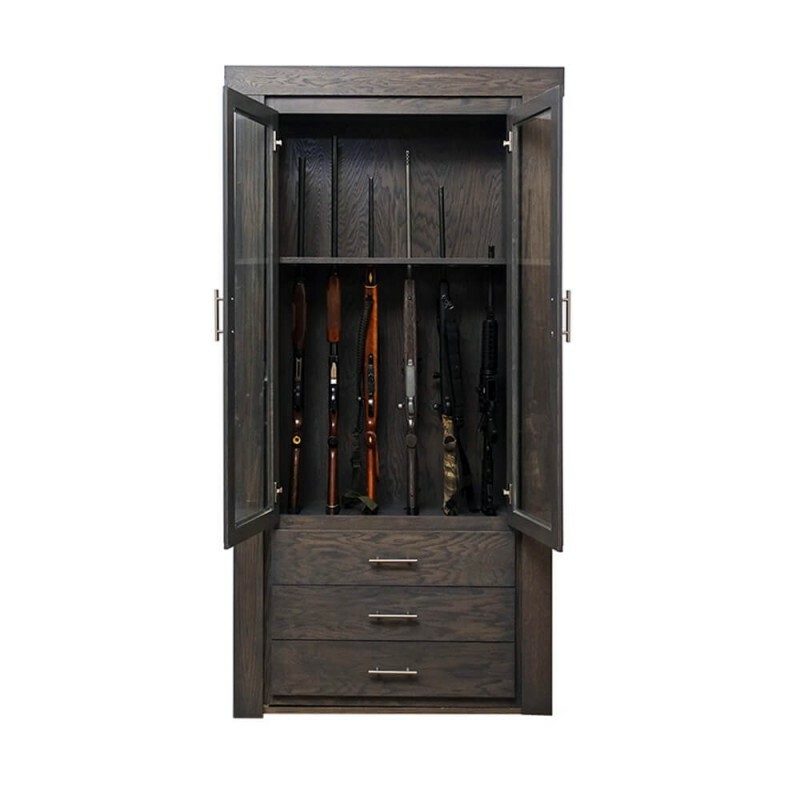 loads on a daily basis and for daily use. 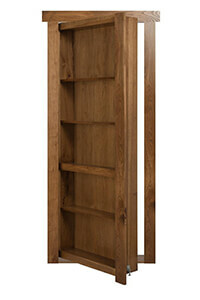 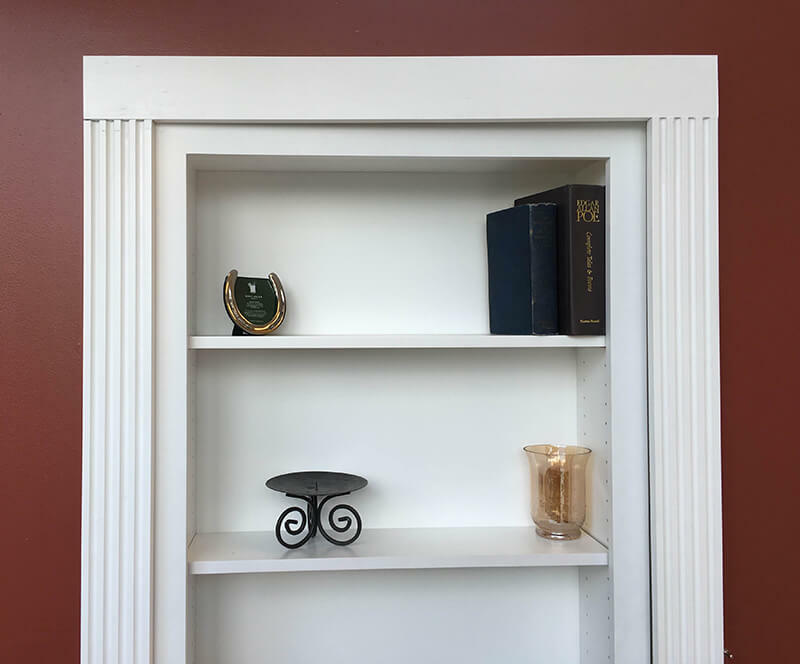 Our bookcases use a 3/4" engineered veneered MDF for structural integrity and to reduce warping. Our bookcases have 1 1/2" tops and 1 1/2" bottoms to help carry the weight. 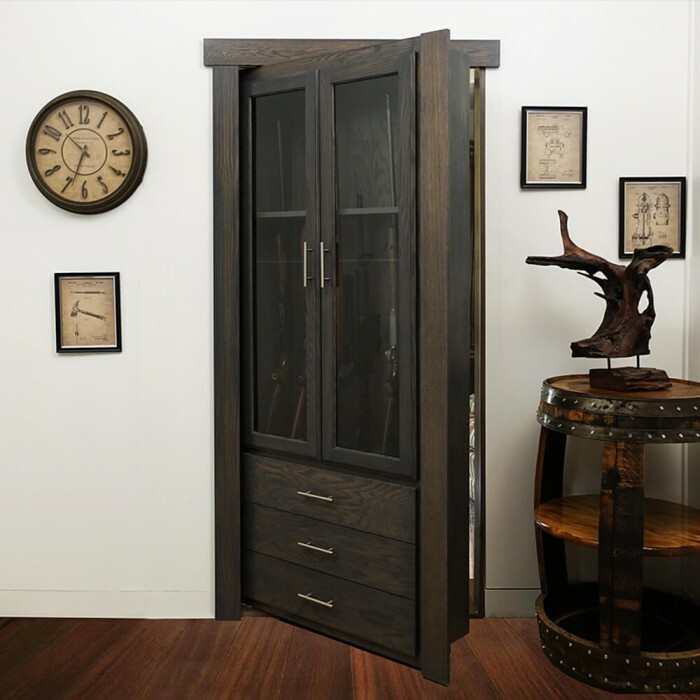 Cabinet doors: All cabinet doors are made with hardwood materials, Paint grade uses poplar combination. 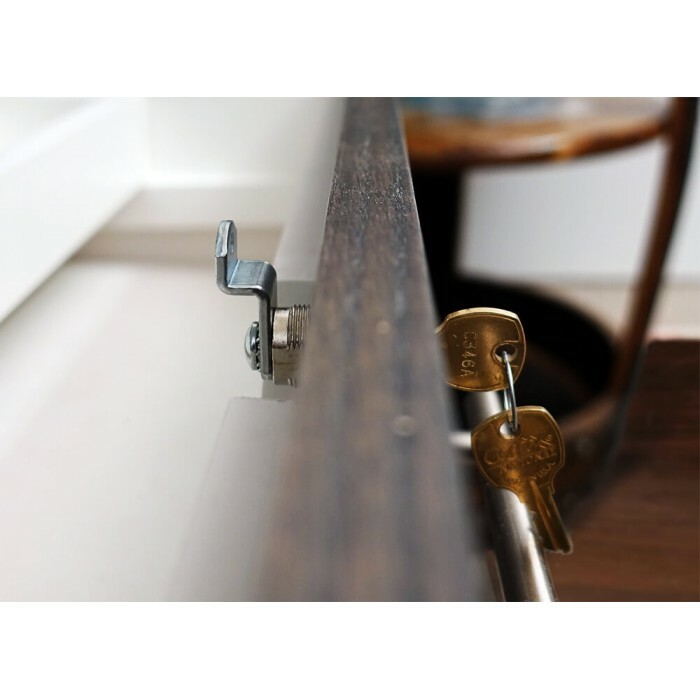 Electromagnetic Locks: Magnetic locking systems require wiring on customers side by a licensed electrician, all Mag lock systems are 12 volt and are inverted to 110 V. A 110 outlet is required near the bookcase. 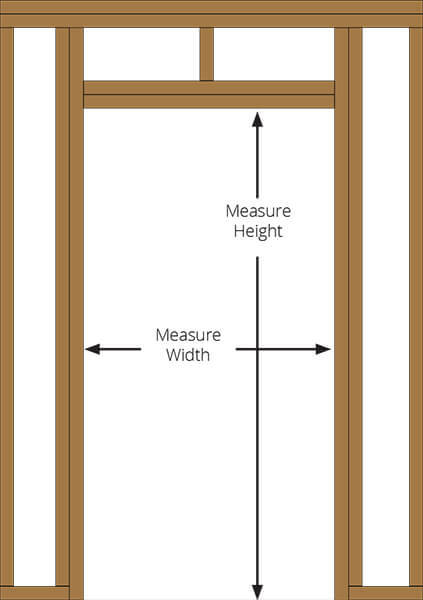 Wiring is required from button to electro maget. 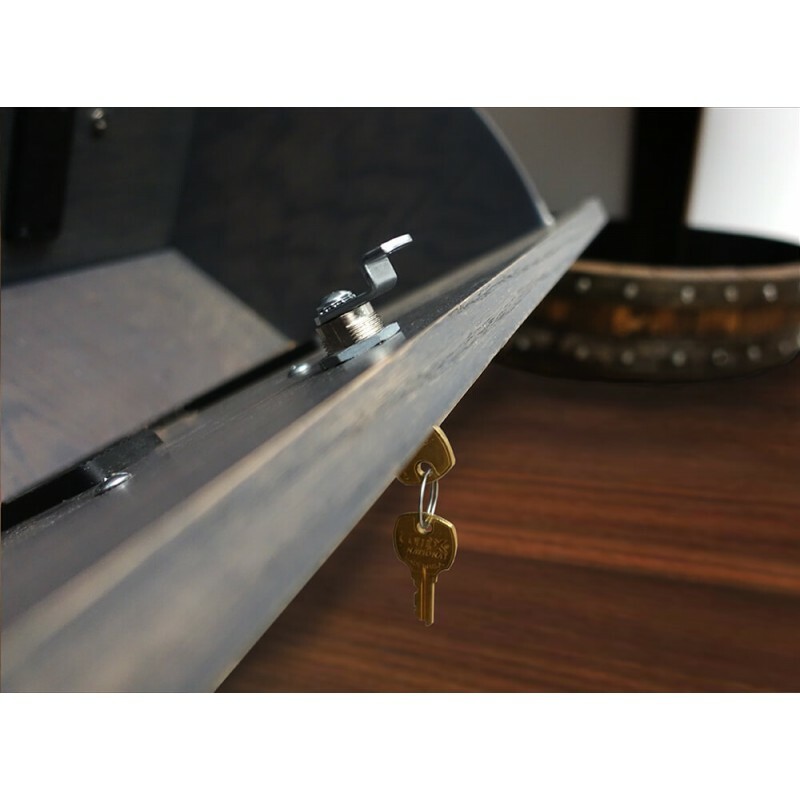 Mechanical Locks: Mechanical locks are a key lock accessible from the bookcase side, and can not be unlocked from the inside of the bookcase door. 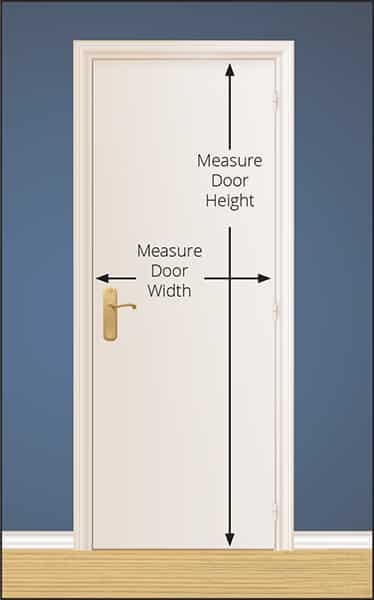 Murphy door mechanical locks are a very secure lock and pin the top and bottom of the door to the upper jamb and threshold.